All meals are freshly prepared and served daily by our experienced catering staff and there is a wide choice of menu available. People are consulted about the meals served in the home and their opinions are taken into account. 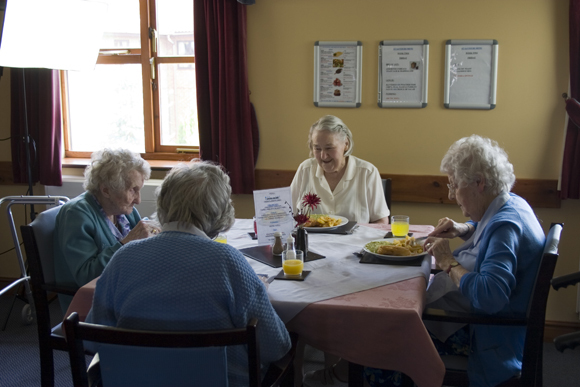 Menus are developed around the nutritional needs, likes and dislikes of the service users and the four weekly menu provides a wide variety of choice. An alternative to the daily menu is always available and any special and diverse dietary needs are fully catered for. Menus are displayed through our electronic display system.